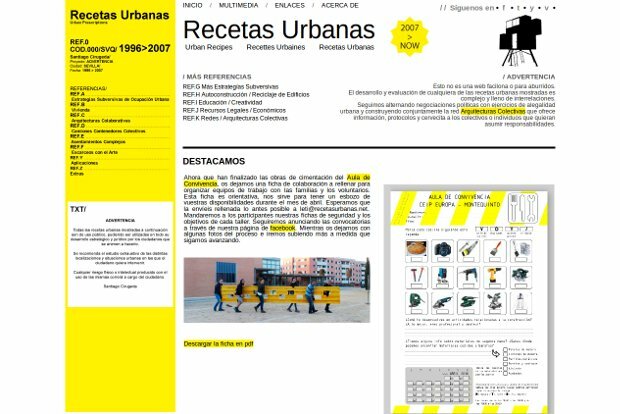 Santiago Cirugeda is a Sevilian artist and architect who exploits the gaps in administrative structure and official procedures in order to come up with ideas susceptible to solve the issue of housing and public space management. Because his home town would not authorize him to build a playground, Santiago Cirugeda obtained a dumpster permit and installed a playground on top of what looked like a jolly dumpster. More recently, he uploaded a video in which he used Playmobil toys to demonstrate how to build a temporary flat in your rooftop. The solutions Cirugeda proposes are cheap, fast, accessible to everyone and their key ingredient is that they intervene where the law falls short.